You can stay up to date with all current works in progress on Instagram, Facebook and Twitter. And as always you can stay up to date with me on Facebook, Instagram or Twitter. I love comic book conventions! 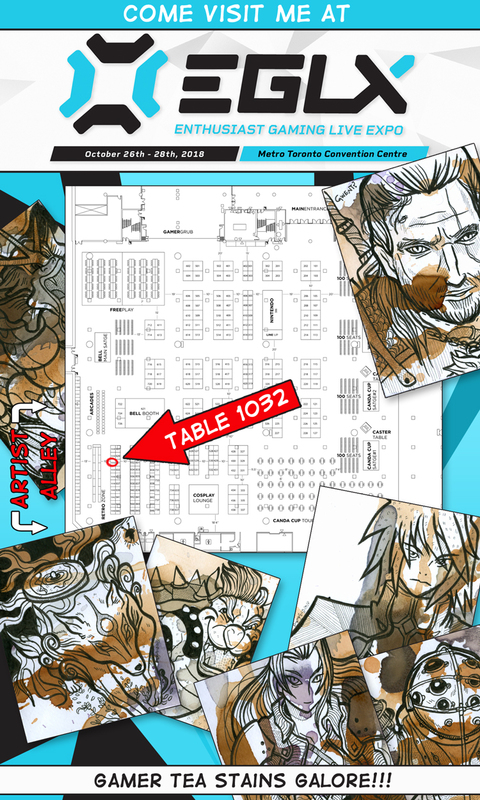 Come find me in the artist alley for tea art and nerdy fun times. Don’t forget, you can stay up to date with all of my current art work on Instagram, Facebook and Twitter! 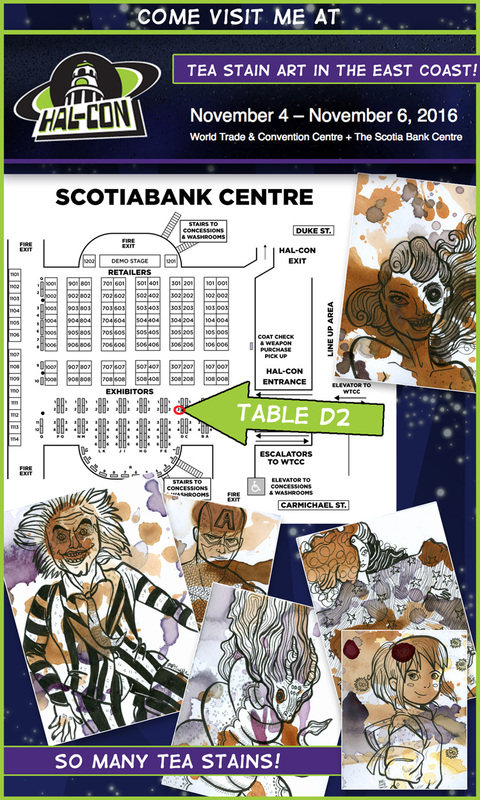 Come see me at HalCon! Spring is around the corner, and that means it’s the start of convention season! I love comic book conventions and I cannot wait to spend time amidst the many talented illustrators and artisans in the Artist Alley. 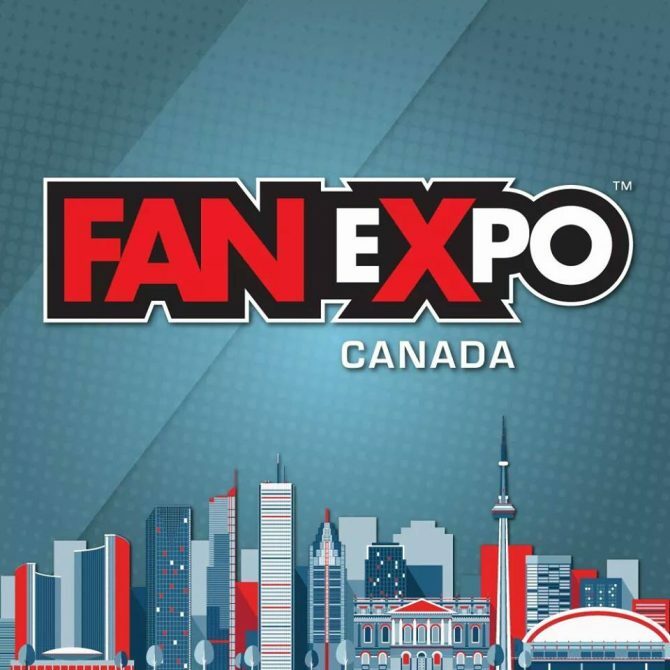 If I could say only one thing about Toronto it would be that we have one of the best Artist Alleys to be found at any comic or pop culture convention. So even if you’re not that into comics, or the plethora of guests who will be making an appearance, come out for the indie artists. You won’t be disappointed! 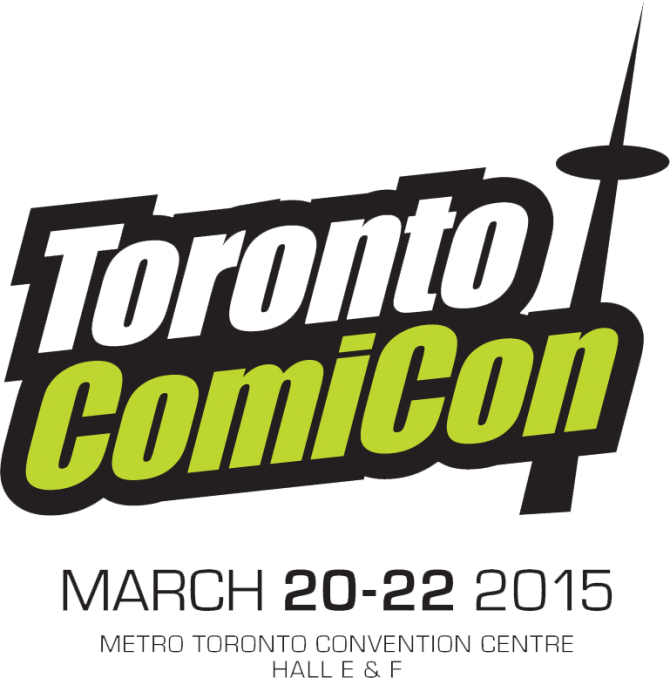 You can come visit me March 20th -22nd at Toronto Comic Con 2015. 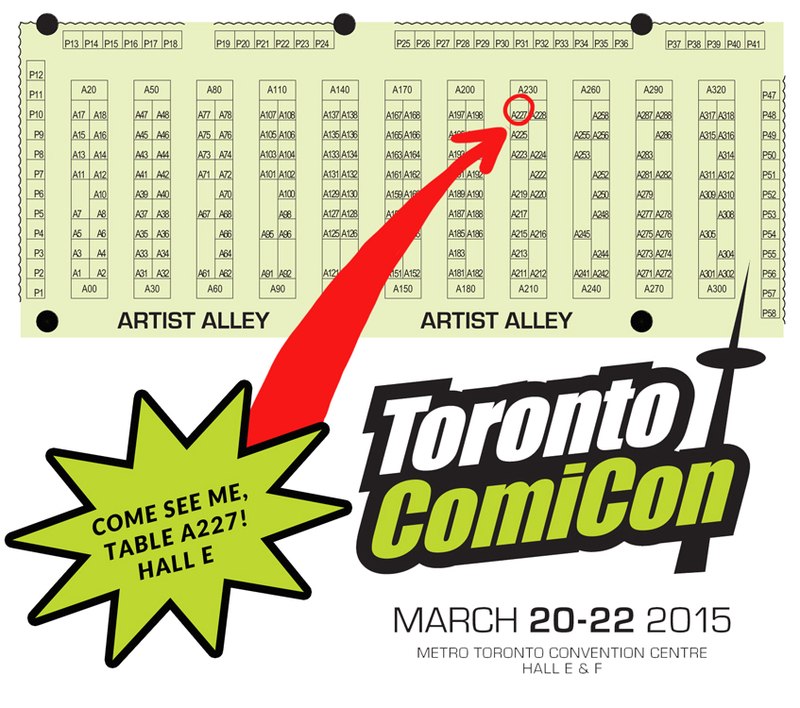 I’ll be at table A227 in Hall E.
I will have new goodies, fresh from the printing presses and tea pot. 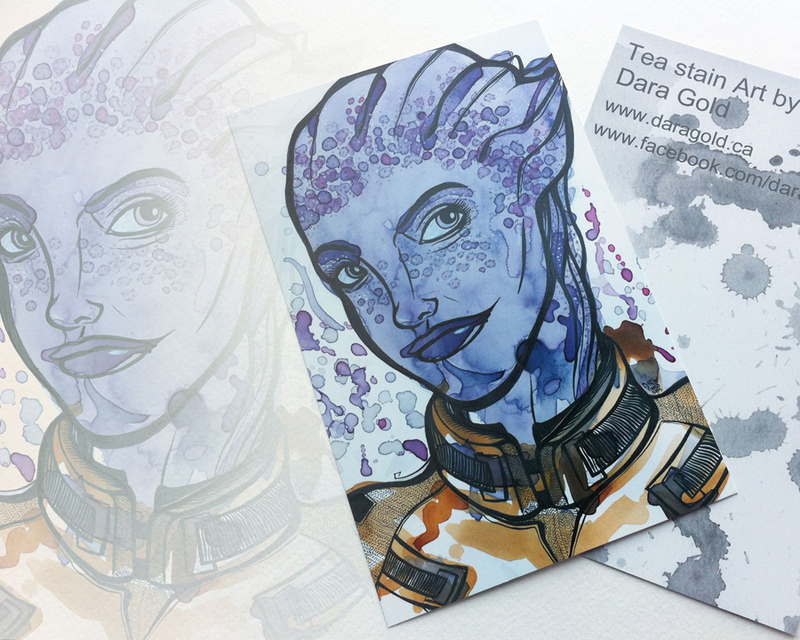 My newest Mass Effect and Guardians of the Galaxy glossy post card prints have arrived. 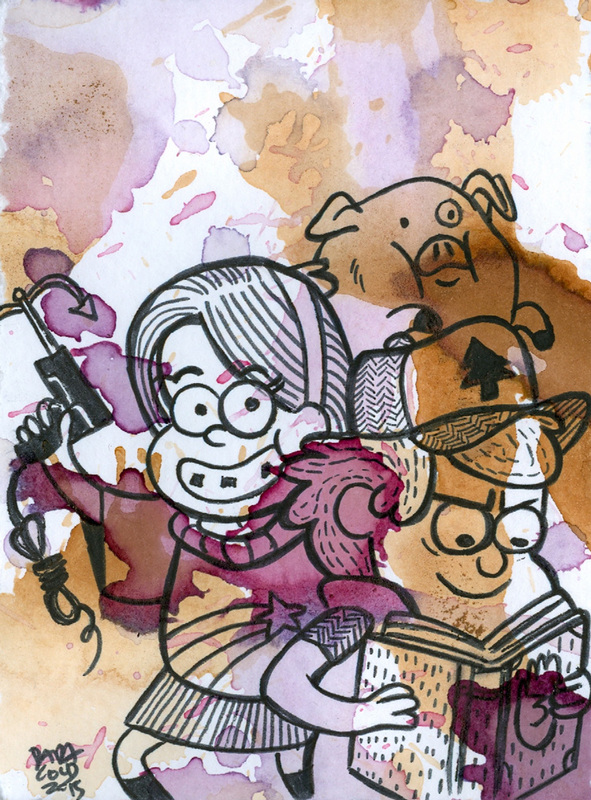 I’ve also printed brand new posters of some of my animal tea stains. 11×17 inches of glossy goodness! 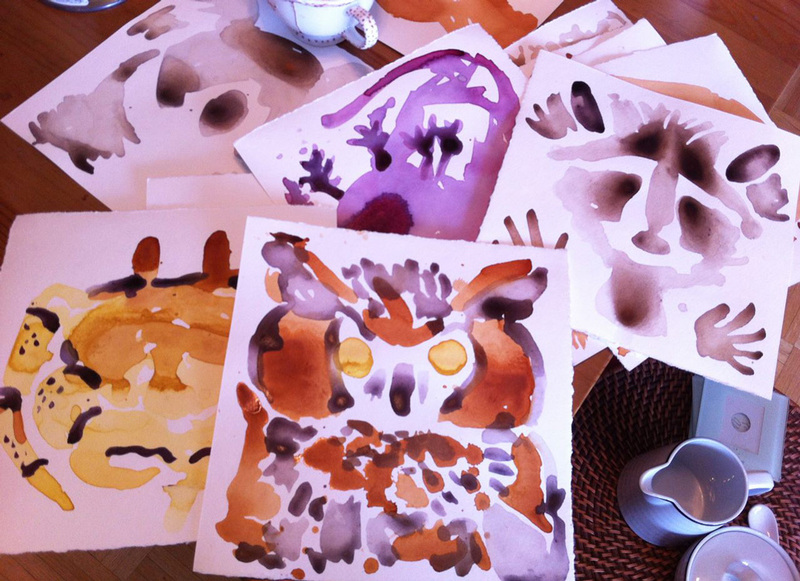 And I’ve made a slew of new mini tea stains. 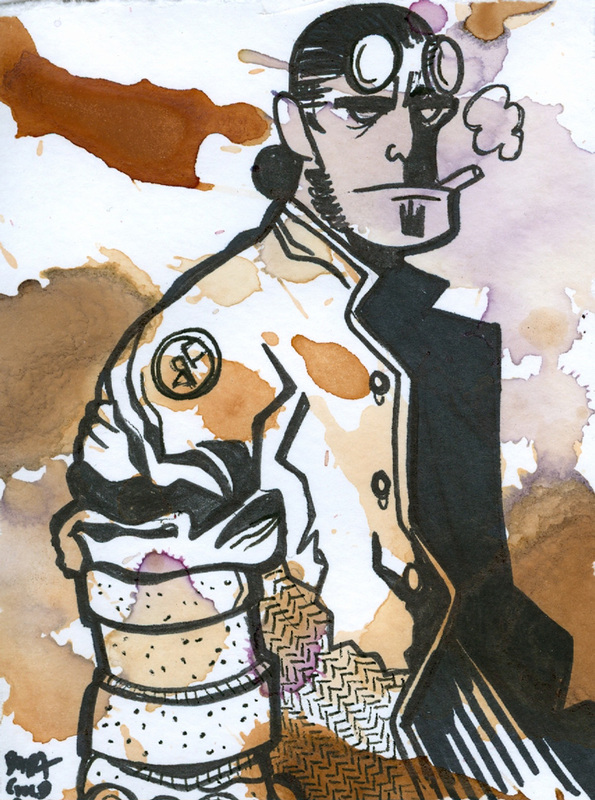 Some based on pop culture, and others totally inspired by the shape of the tea. So if you’re at the con, come say hello! I have so many new things to share with you. 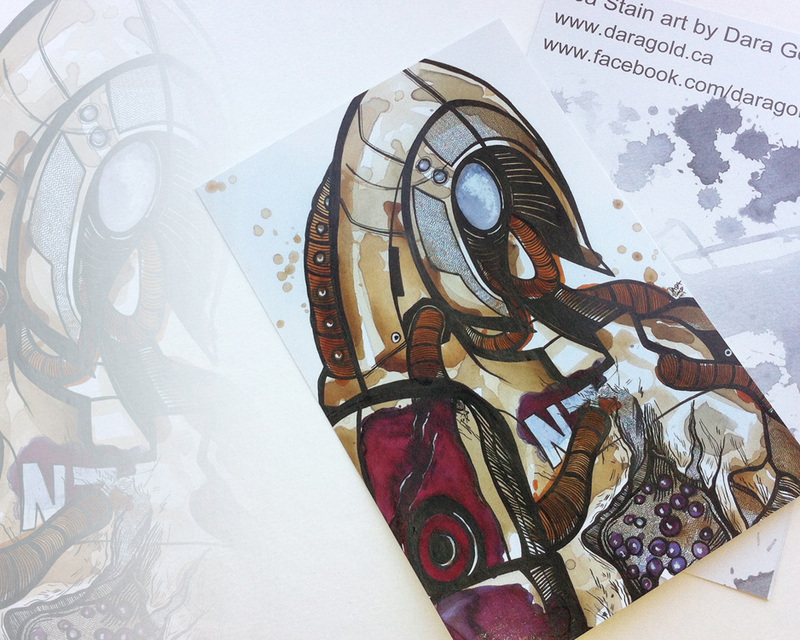 And as always you can stay in touch with me and keep up to date on current art on my facebook and twitter. I also have an online store with pillows, mugs tote bags and more. 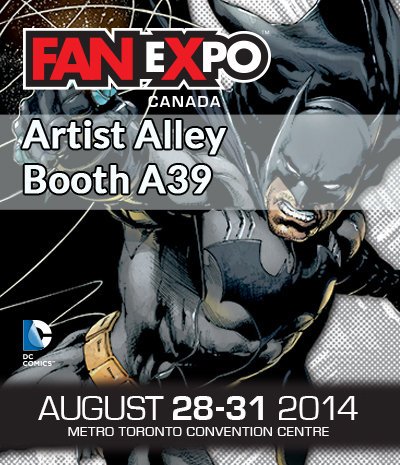 Come visit me at FanExpo, the biggest and best pop culture convention that Toronto has to offer, August 28 – 31. 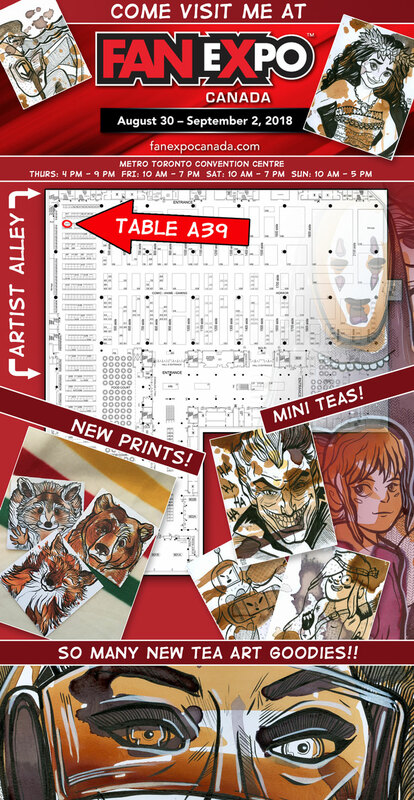 I will be in the Artist Alley booth A39 all 4 days (south building). 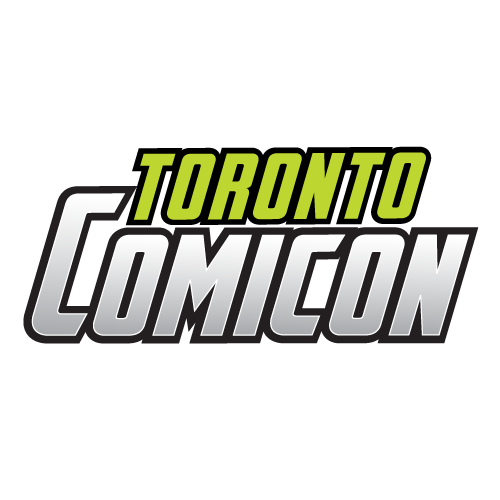 It’s the greatest event for all things nerdy to be found in the summer, so come out, geek out, and say hello! I have a TON of new goodies to share with you. 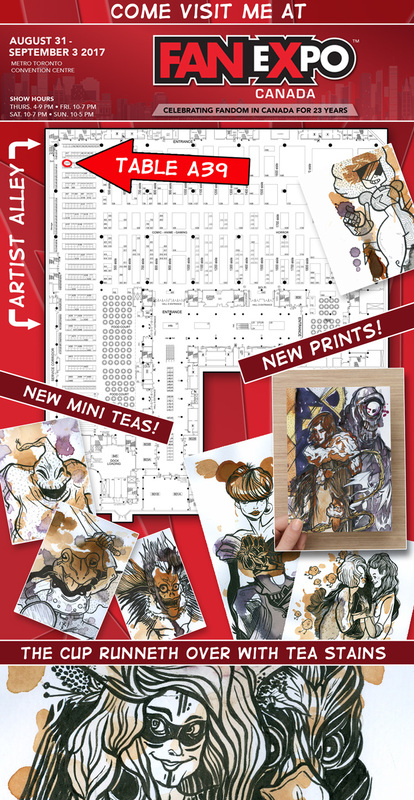 Allow me to tempt you with my new offerings, available for the first time at the show. 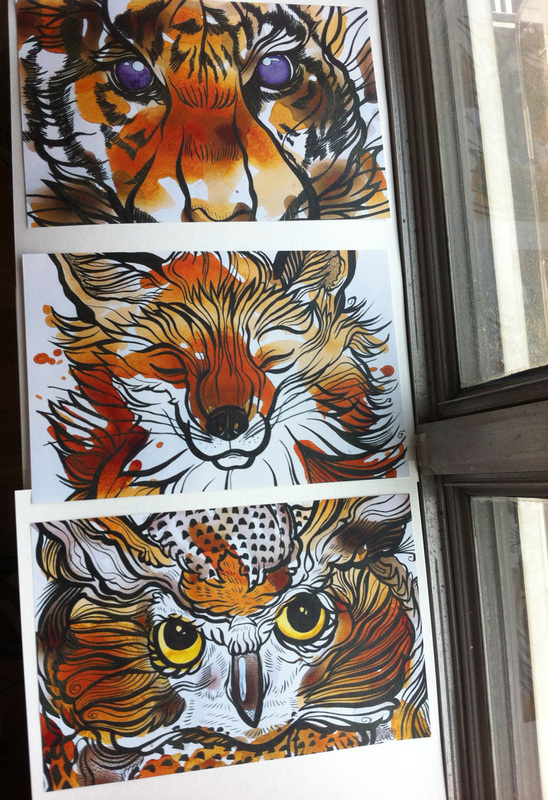 Brand new limited edition art prints. 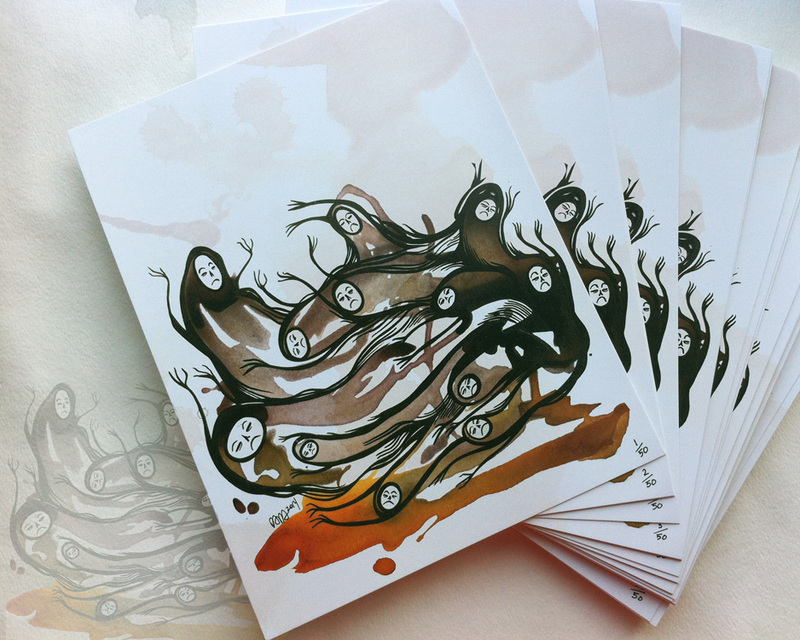 The Plague of Ghosts is 8.5 x 11 inches of adorable evil. Printed on awesome paper, and super affordable. There are only 50 available, and there will even be a special opening day price. STICKERS! I am crazy excited about these. 4 stickers come in each pack. 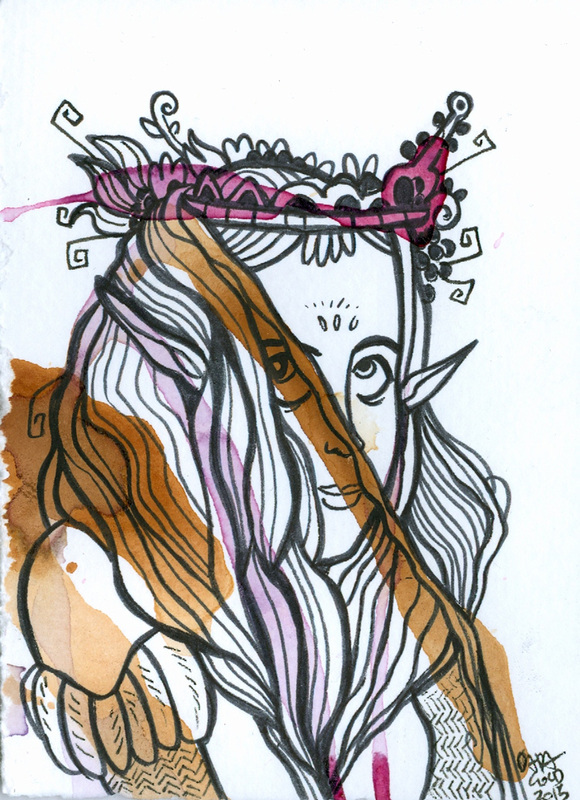 Kooky creatures and little tea stains. 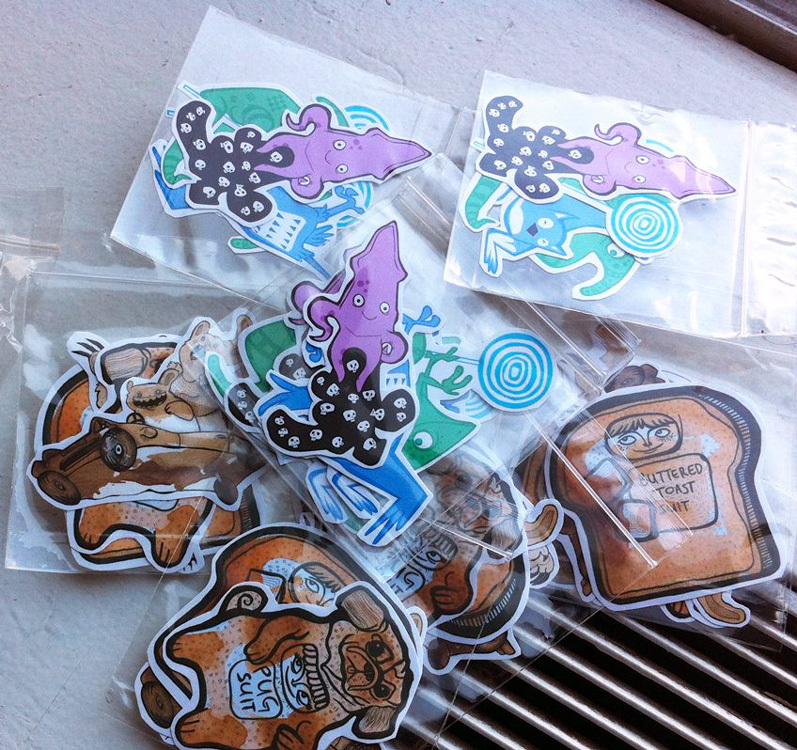 Now you can stick a pug suit or hip hopping owls on all of your stuff! Pop culture oversized postcard prints, 3 of which have never been shown anywhere else before! Brand new and so exclusive just for you. 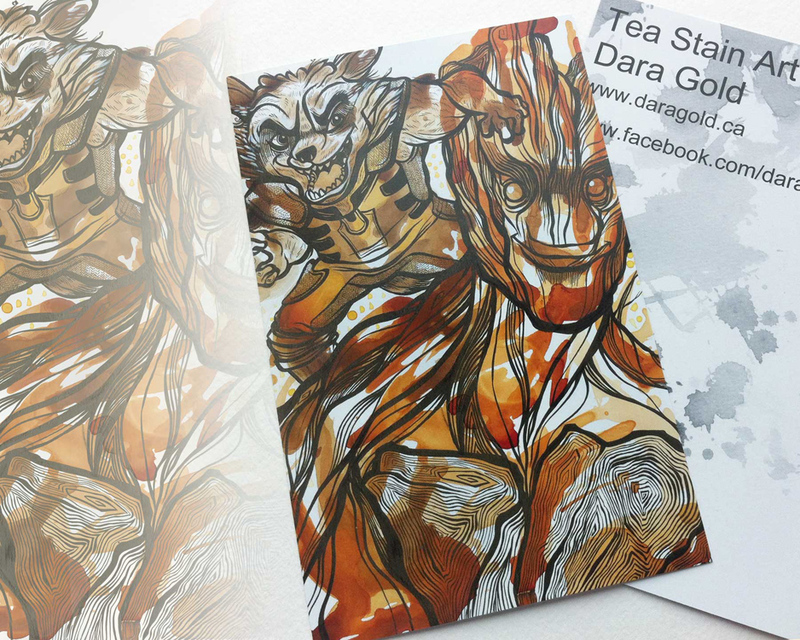 A brand new tea stain series. This is just a sneak peek. There will be 12 animal teas in all. You can check out the WIP images here. Stay in touch via my facebook page.